Biological filtration is the number one key to a nice and stable reef tank, and anytime we can sneak in some MarinePure Biomedia into an All in one tank, sump, or even overflows we will. We have run density tests and they have proved to be more porous than any live rock we could find. 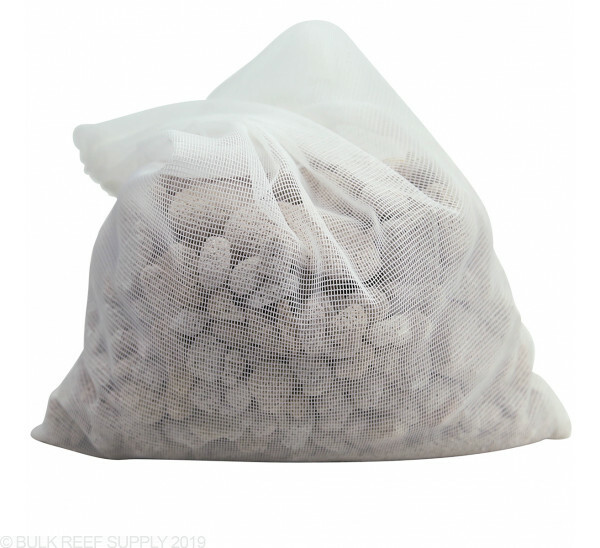 They are a great base for sponge growth, microfauna, and even coral frags. 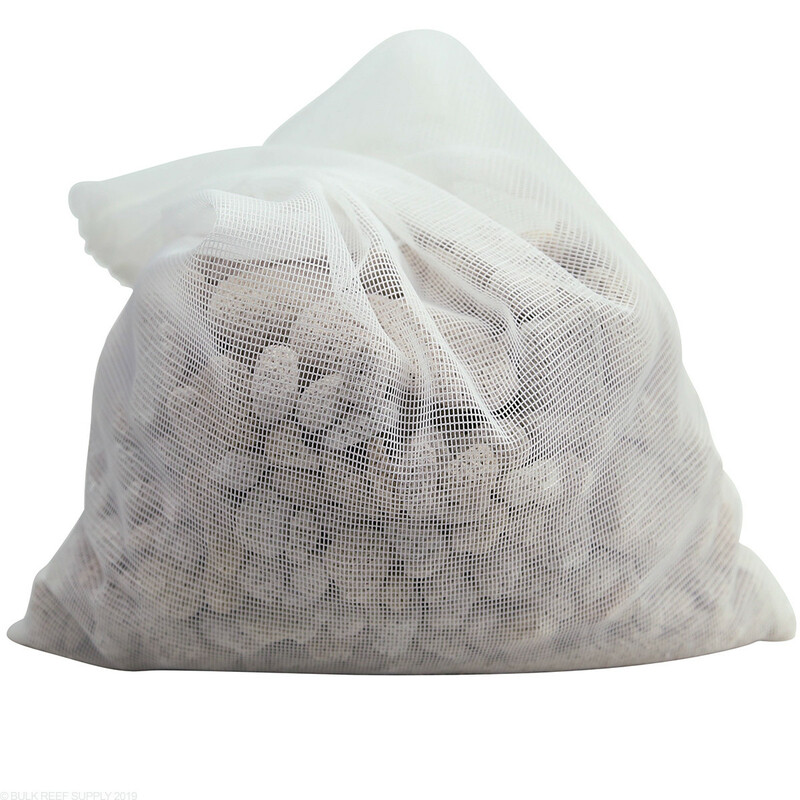 MarinePure MP2C-C has an overall surface area of 96,000 sq ft per media bag. The increased amount of surface area will give bacteria a place to colonize helping with the overall biological filtration capacity of your tank. 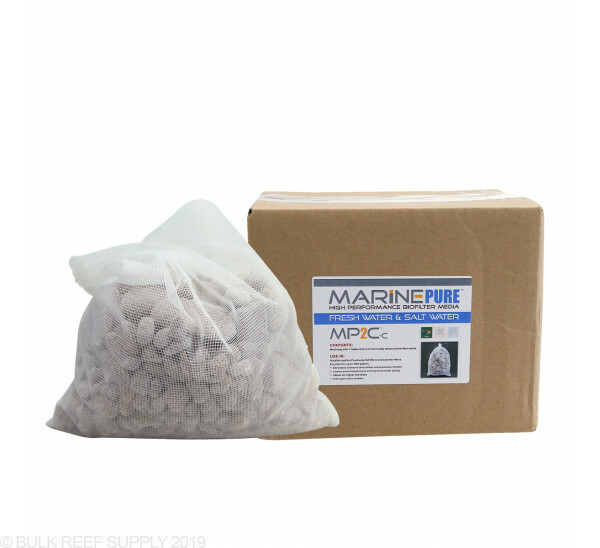 Random sizes and shapes of MarinePure in an easy to use media bag that has been specifically designed to help with the overall reduction of ammonia and nitrite in the aquarium. The media’s composition is similar to natural rock formations. MarinePure provides approximately 150,000 sq. Ft per cu. Ft (510 m2/L) of accessible surface area. The properties of MarinePure create a stable home for a dense population of beneficial bacteria that remove ammonia and nitrites from your aquarium. Some systems will also see a decrease in nitrates. 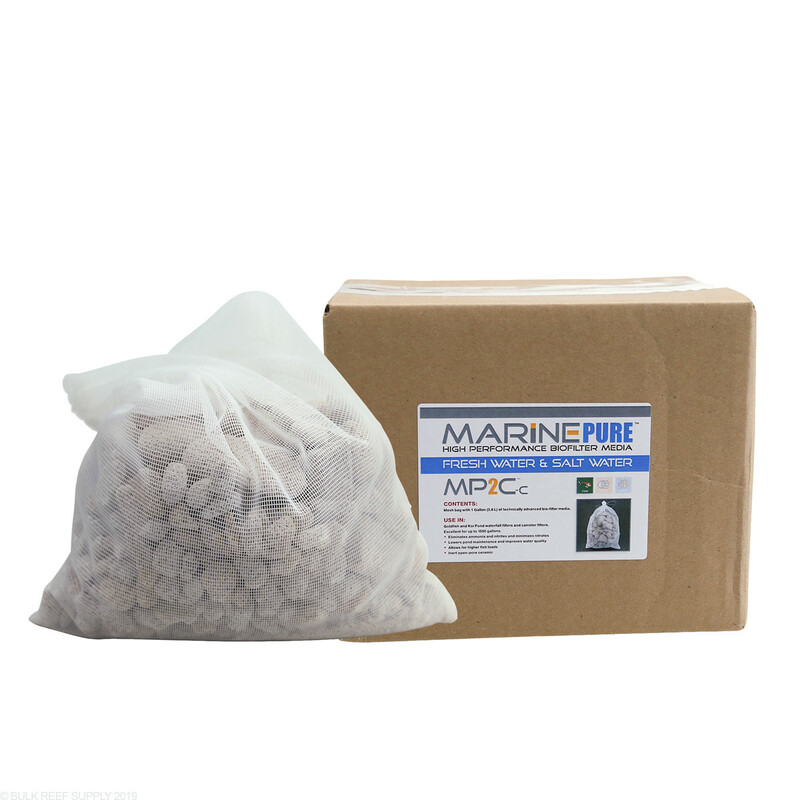 MarinePure will work in sumps, trickle filters, wet/dry filters, hang on the back filters or directly in the tank. The material in media bag is bit dusty but surface area is tremendous. I cycled 150-gallon quarantine tank with this and Biospira in 1 week. I brought this smaller blocks that were contained in a large mess bag. I followed the direction and I've noticed a drop in nitrates and look forward to ordering more. Is it best to leave it in the media bag that it comes in when using it in a sump? Great question. It is personal choice. We recommend leaving it in if you will ever rinse or remove the media. Feel free to let us know if you have any further questions!